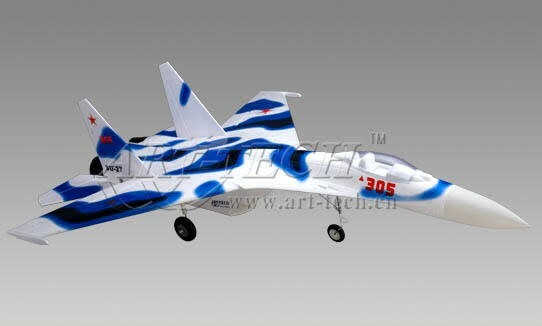 Su-27 Warrior (Brushless), designed for the hobby enthusiast, Base on its full-scale counterpart, this Russian jet flight model has a high roll rate and even can do the famous"cobra maneuver" flight, even the beginner can easily setup the model and fly it stably. ★.High efficiency,provide stronger power . 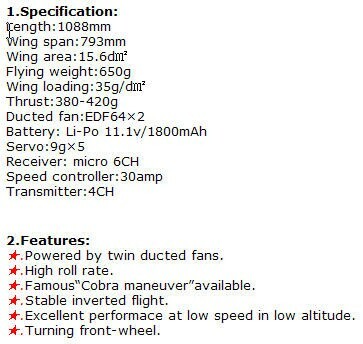 ★.Powered by twin ducted fans. ★.High roll rate,stable inverted flight. ★.Excellent performace at low speed in low altitude. 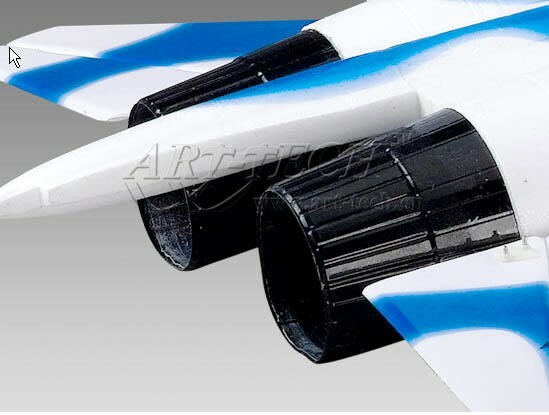 Su-27 Warrior (Brushless), designed for the hobby enthusiast, Base on its full-scale counterpart, this Russian jet flight model has a high roll rate and even can do the famous"cobra maneuver" flight, even the beginner can easily setup the model and fly it stably. 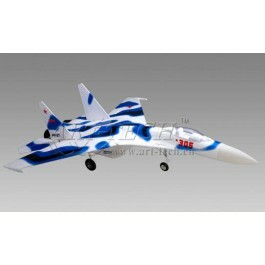 it's also made as a highly maneuverable model for the intermediate to expert pilot. 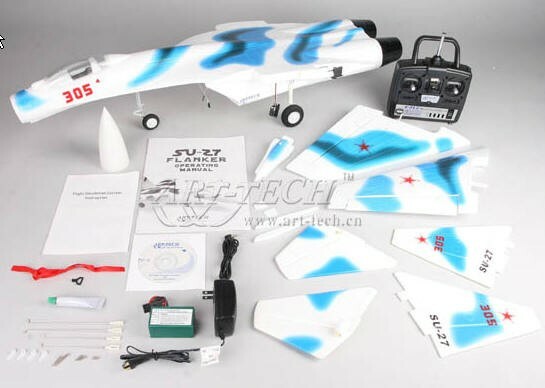 With the Brushless su-27 model which includes a radio transmitter, a speed controller, two electric ducted fans, and electric servo. you will have a joyful time in model flying.